Transfusion-related adverse events can be broadly classified as acute or delayed, and immunological or non-immunological. Once health service organisations recognise and clinically confirm a transfusion related adverse event, the event should be reported in the incident management and investigation system. The adverse event may also be required to be reported to the pathology service provider. In addition, any ‘near miss’ events should also be included on the incident management and investigation system. The severity may be rated using a Severity Assessment Score (SAC) or an Incident Severity Rating (ISR) or other methodologies. Sentinel events are events which are defined as any unanticipated event in a healthcare setting resulting in death or serious physical or psychological injury to a patient or patients. Sentinel events are legally required to be reported to the state/territory health department. ABO incompatibility is a sentinel event and therefore must be reported in line with your local and state/territory reporting requirements. ABO incompatibility should also be reported to the state/territory haemovigilance system and program in accordance with the national minimum dataset required. Product related adverse events are reactions that occur as a direct result of a problem with the product administered, for example: bacterial contamination, transfusion transmitted infection or incorrect labelling of product. Immunological related adverse events are events where a patient has an unexpected reaction to the blood product leading to an adverse immune response such as transfusion related acute lung injury (TRALI) or a febrile non-haemolytic reaction. 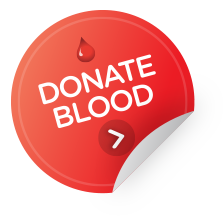 Events such as these are required to be notified to the manufacturer of that blood product, where in the case of fresh blood it is the Australian Red Cross Blood Service. It is then the responsibility of the manufacturer to determine if the event meets the requirements under the Good Manufacturing Practice Code to report the event to the Therapeutic Goods Administration For contact details and reporting requirements, refer to the product information sheet or the Australian Red Cross Blood Service Blood Component Information (BCI) . Administration related adverse reactions are reactions that occur as a result of the incorrect administration of blood products including: Transfusion Associated Circulatory Overload, incorrect dosage and near miss events. Incorrect administration of blood products are not required to be reported to the manufacturer, however the state/territory haemovigilance programs do report on this data and therefore any event that is considered an administration related or near miss adverse event should be reported to the haemovigilance program as is required by the National Standard for Blood and Blood Products Safety and Quality. All the adverse events that meet the national and state/territory requirements should be reported to the state/territory haemovigilance system and program. The state/territory health department collates the data and reports the de-identified minimum dataset in line with the National Haemovigilance Data Dictionary to the National Haemovigilance Program. The NBA analyses the data and publishes it in the Australian haemovigilance reports. There are also requirements in some supplier contracts to report adverse events to the NBA, see the relevant contract under Contracts with Suppliers.